Continuing our thoughts from last week about streamliner designs, there are a few more concepts from Mehmet Doruk Erdem that are worth sharing. While the Turksih designer’s BMW “Apollo” streamliner is a more stylized version of the designs we are accustomed to, his Eternity, Alpha, and Spirito concepts tread more into the futuristic realm, and are our subjects for today. Before we get to the renders themselves though, it is of note that Erdem’s concepts relate to car manufacturers, thus leading us to the idea that at some point the quest by automakers to make small and efficient vehicles will lead them eventually down a two-wheeled road. Stefan Bradl is to undergo surgery to fix a fractured scaphoid in his right hand. The German had a major highside during the race at Assen on Saturday, being thrown from his Forward Yamaha on lap six, at Duikersloot. Bradl landed heavily and immediately knew something was wrong. 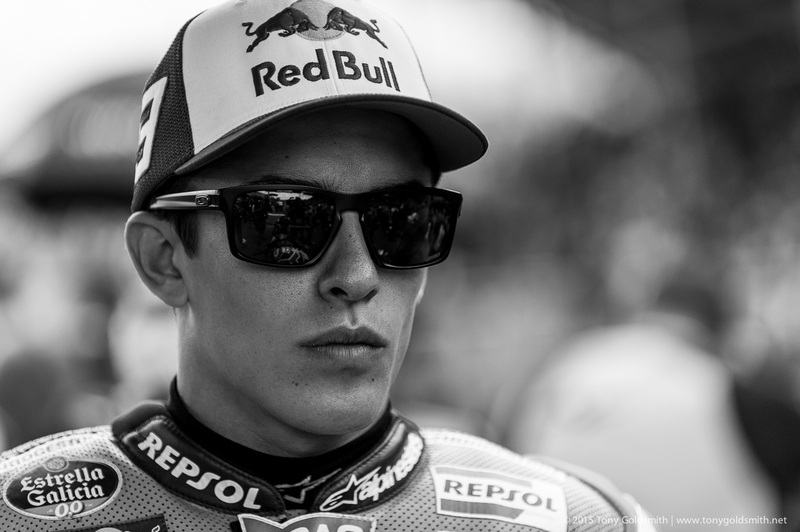 X-rays showed that he had fractured his scaphoid, with photos shown on the Speedweek website indicating that it was a fracture at the waist of the scaphoid. The 93rd running of the Pikes Peak International Hill Climb is in the bag, with thankfully no further major incidents after the loss of Carl Sorensen during Thursday’s practice session. That doesn’t mean this year’s Race to the Clouds was without drama though, as the weather played a major factor. A hail storm hit the 14,000 foot peak during today’s racing, which meant some competitors were not able to race all the way to the official finish line at the summit. Instead, they had to stop lower finishing point on the mountain. While this issue mostly affected the car classes, it did mean that the sidecars and ATVs did not finish the full course as well. In our results table, their times reflect the course to its second checkpoint. Please keep that in mind when looking at the race results, after the jump. Great final corners make history, every track should have one. A chicane, or a wide, tight final turn which allows riders to attempt a desperate last-gasp plunge up the inside, or for the exceptionally brave, round the outside, for the win. The truly great corners have just enough options after the turn for the attacking rider to make a mistake and let the rider he just passed retake the lead. 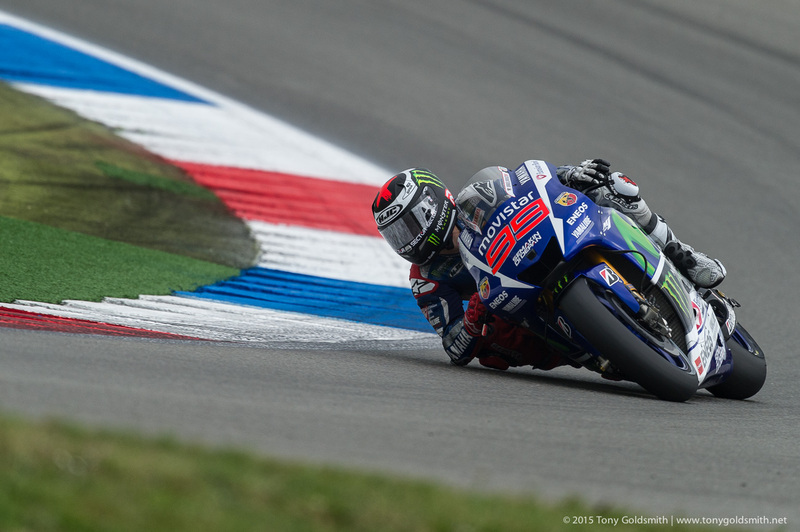 Assen has such a final corner. And not just a great final corner, but also a great sequence of corners that lead up to it, allowing riders to both plan ahead and to react to the unexpected. On Saturday, Assen’s GT Chicane, and the complex from De Bult all the way to the exit of Ramshoek, delivered spectacular and exhilarating racing. 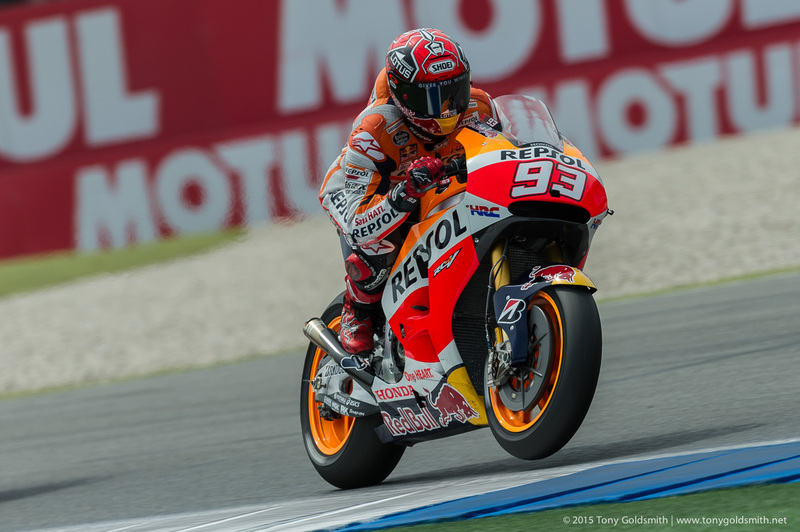 It also delivered a moment which will go down in the annals of MotoGP history, and be debated for years to come. It might even prove to be the decisive moment in the 2015 championship. Ducati are to lose their concessions for the 2016 MotoGP season. Meeting at Assen, the Grand Prix Commission decided to apply the system of concession points which was due to take effect from the 2016 season to the results of Ducati for this season. This means that from next year, Ducati will race under the same rules as Honda and Yamaha, which means that they will have seven engines per season, with no development allowed during the season, and testing with factory riders restricted to official tests and a handful of private tests. Jeremy Burgess was famous for finding that special something on Sunday morning that gave Valentino Rossi the edge in the race in the afternoon. It is a tradition carried on by Silvano Galbusera, who has replaced Burgess since the start of the 2014 season. Galbusera, too, always seems to find that extra little tweak during warm-up that makes the difference between cruising in fourth or finishing on the podium, and even on the top step. The fact that it has continued since Burgess’ departure suggests that the tweaks were very much a collaborative effort, with input coming from his data engineers and mechanics, as well as the rider himself, of course. Two weeks ago in Barcelona, Rossi’s team appear to have found something extra special. 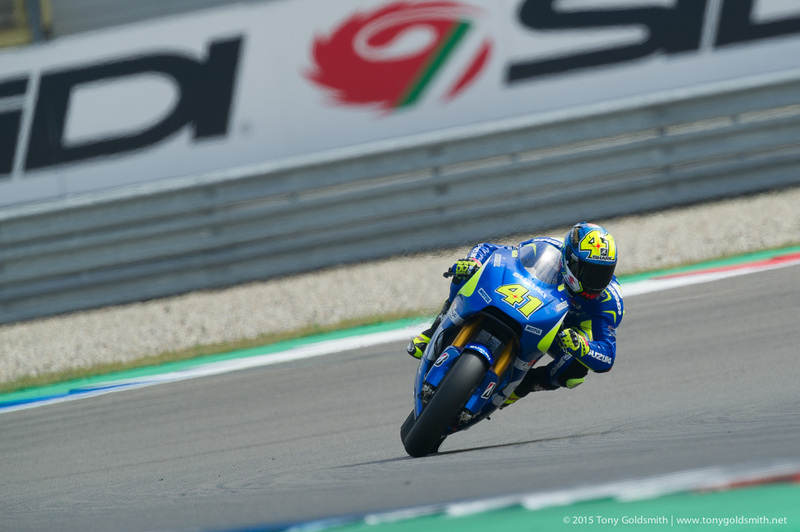 For it did not just work on the Sunday in Catalonia, taking Rossi from the third row all the way up to 2nd, but it has even carried through to Assen, some 1600km further north. I have had dustbin fairings on the brain lately, and yesterday’s story about golf ball dimples on motorcycle helmets isn’t helping things. From a pure design perspective, there is something I enjoy immensely about streamlining — I think its the sleek lines and low-slung bodywork that hugs the asphalt, looking for any edge over the wind. Despite being something of motorcycling’s past, there is something futuristic about a well-designed dustbin. That’s an interesting thought, because from a practical point-of-view, I’m rather indifferent to the whole idea. The two-wheeled examples I’ve seen of extreme aerodynamic efficiency are not machines I would want to ride, let alone own…sans maybe the 2012 MotoCzysz E1pc — that bike was downright fun to ride, but I don’t think that was because of Michael Czysz’s aerodynamic work. I digress. The streamlining designs that have been catching my fancy lately though are modern takes on an old-school aesthetic and method for cutting through the wind. It doesn’t take much to find modern builders who are recreating old dustbin designs into their modern-day builds, but I’m more interested in how the aerodynamic principle of streamlining can evolve as alternate to today’s aerodynamic compromises, in the same way steampunk explores a worldly evolution that never happened. The first concept to catch my fancy, as such, is the BMW Apollo Streamliner by Turkish designer Mehmet Doruk Erdem.